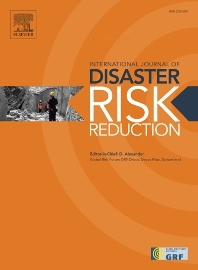 The International Journal of Disaster Risk Reduction (IJDRR) is the journal for researchers, policymakers and practitioners across diverse disciplines: Earth Sciences in its entirety; Environmental Sciences; Engineering; Urban Studies; Geography; and Social sciences. IJDRR publishes fundamental and applied research, critical reviews, policy papers and case studies focusing on multidisciplinary research aiming to reduce the impact of natural and technological disasters. IJDRR stimulates exchange of ideas and knowledge transfer on disaster research, mitigation, adaptation, prevention and risk reduction at all geographical scales: local, national and international. The journal particularly encourages papers which approach risk from a multidisciplinary perspective.